It’s time to stop being coy about the launch of Filmography. Yes, it’s out, and has been for over a week now. The important news is that it’s now available as both an eBook for Kindle AND a paperback. This has been my first venture into book design (not counting all those comic books I’ve published since the early ‘90s) so it was a trial-and-error journey to get things just so. Three proof copies later, the novella is now greenlit for distribution, and can be ordered right alongside the eBook for those who still demand a physical experience with their books. From a design point of view, there’s way more you can accomplish on paper, flexible as eBooks can be. With an eBook, at least half of the aesthetics are decided by the reader. 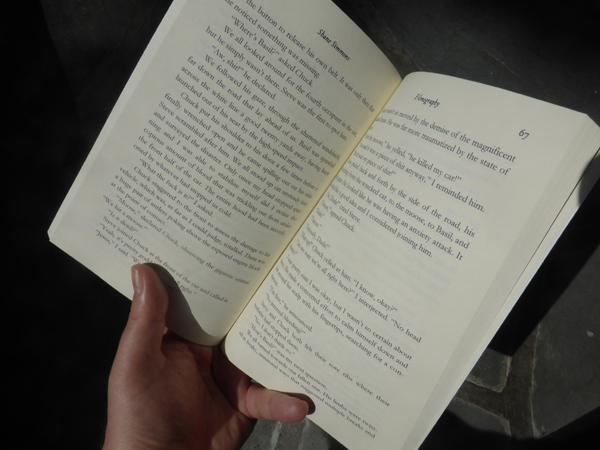 They choose the font and the size, and can make a number of other fiddly choices that can greatly affect how the book presents itself. With a paperback, all those choices are made for them, and it can have a profound impact on the mood of the piece. 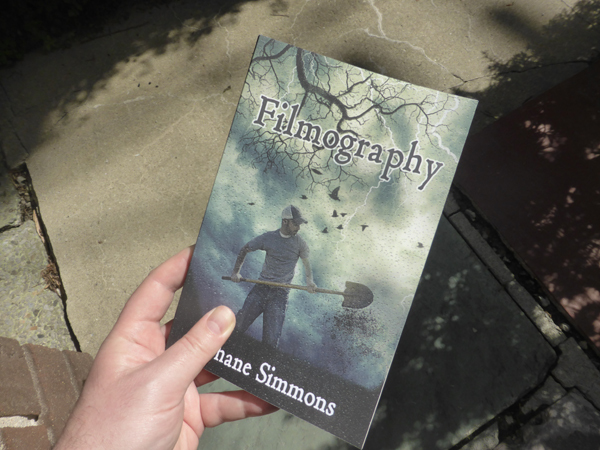 Experience Filmography however you wish, but it’s nice to be able to curl up with a bit of fiction on a hot September day, turn some pages, and snort the new-book smell until you get that pulp-mill high bibliophiles have been tripping to since the advent of moveable type.